This is a continuous open pool to fill part-time instructor positions at any of our three colleges (Oxnard, Moorpark, and Ventura) for the Summer 2019, Fall 2019, and Spring 2020 semesters. If you have applied to previous pools in this discipline, you will need to apply to this pool to continue to be considered. Under the general direction of a dean, an Instructor (Non-Contract/Temporary) provides comprehensive classroom instruction to students from diverse backgrounds for the purpose of facilitating the attainment of their academic or vocational objectives. In accordance with the provisions of Education Code sections 87482.5, Instructors (Non-Contract/Temporary) may be employed up to 67% of a full-time assignment. May participate in curriculum and program development; may provide input into the development of student learning outcomes. May attend and participate on committees and in department, division, campus, and district meetings. May participate in articulation and matriculation related activities. May provide work direction to others. possession of an appropriate California Community College Credential. All coursework must be from a recognized accredited college or university. *APPLICANTS WHO DO NOT MEET THE ABOVE-STATED MINIMUM QUALIFICATIONS MUST COMPLETE THE SUPPLEMENTAL QUESTIONNAIRE FOR EQUIVALENCY IN ORDER TO BE CONSIDERED ON THE BASIS OF POSSESSING EQUIVALENT QUALIFICATIONS (EQUIVALENCY). The Supplemental Questionnaire for Equivalency is available on our website at http://www.vcccd.edu/sites/default/files/files/departments/human-resources/supplemental_questionnaire_for_equivalency_03.05.15 (Download PDF reader). When completing the form, be sure to explain in detail how your qualifications are equivalent to the required minimum qualifications. If the title of your degree as stated on your transcripts does not exactly match one of the degree titles listed in the minimum qualifications, you must complete the Supplemental Questionnaire for Equivalency. Do not assume that you do not need to submit a Supplemental Questionnaire for Equivalency because your degree is similar to a degree stated in the minimum qualifications. DEGREE TITLES THAT ARE NOT AN EXACT MATCH WILL NOT BE CONSIDERED OUTSIDE OF THE EQUIVALENCY PROCESS. For further details regarding equivalency and the criteria by which equivalency may be granted, please click on the following link: http://www.boarddocs.com/ca/vcccd/Board.nsf/goto?open&id=83LDBP0DD9E5. Part-time classroom faculty receive between 1,589 and 2,302 starting pay per semester per 10% load. Part-time faculty salaries are governed by the collective bargaining agreement between the VENTURA COUNTY FEDERATION OF COLLEGE TEACHERS, AFT, LOCAL 1828, AFL-CIO and the VENTURA COUNTY COMMUNITY COLLEGE DISTRICT. To review the contract, go to: http://www.vcccd.edu/departments/human_resources/contracts.shtml. Please be aware that we will require verification of all part-time teaching experience for which you wish to receive credit toward placement on the salary schedule. You will have 30 days to provide verification upon receipt of the offer of employment. Verification must come from the human resources department and state the percentage of full-time-equivalent assignment you worked during the specified time period. For more information about how salaries are determined for part-time faculty assignments, please click on the following link: http://www.vcccd.edu/sites/default/files/files/departments/human-resources/part-time_faculty_salary_explanation_version_7.pdf (Download PDF reader). All applicants, including previous and current VCCCD employees, must submit the following materials in order for their application to be considered. Failure to submit all required materials will result in disqualification. Please be sure to upload all materials, including all transcripts, that you wish for the committee to consider. 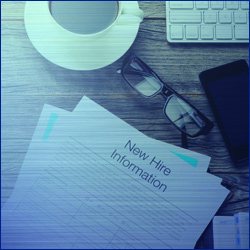 The hiring committee will NOT have access to materials kept in personnel files, and such materials will not be considered unless they are included with your application packet. * Letter of Application: The letter of application must contain the following pieces of information: A) include the date, your name, and the position and locations for which you are applying, B) address your sensitivity to and understanding of the diverse academic, social, economic, cultural, disability, and ethnic backgrounds of community college students, and C) provide the screening committee with an understanding of how you will contribute as a fully participating member of the VCCCD community. * Complete official or unofficial college/university transcripts demonstrating attainment of minimum qualifications. Transcripts must show the degree title and the date the degree was conferred or the degree will not be considered for the purpose of determining if you meet minimum qualifications. Diplomas will not be accepted in lieu of transcripts. If the qualifying degree has yet to be conferred and you expect to have the degree before you begin employment, you must submit transcripts that state the title of the degree you are working toward obtaining and indicate the anticipated completion date in your response to the associated supplemental question provided during the application process. An official copy of your transcripts will be required upon being hired. Instructors will not be allowed to start working until official transcripts have been received. NOTE: If you have completed coursework at a foreign institution that is not recognized as accredited by the Council for Higher Education Accreditation (CHEA) or the U.S. Department of Education, you must include a full evaluation of the foreign transcript with your application materials if you wish for us to consider the coursework. To search for institutions that are recognized as accredited by CHEA or the U.S. Department of Education, visit http://www.chea.org/4dcgi/chea/search/index.html?MenuKey=main or http://ope.ed.gov/accreditation/search.aspx. For a list of VCCCD-recognized organizations providing transcript evaluation services, visit http://www.naces.org/members.htm. A screening committee will review and screen all applications and associated materials. The candidates deemed most qualified for the position will be invited to an interview. When completing the application and the supplemental questions, it is important to outline in detail your education, training (classes, seminars, workshops), and experience. You will be evaluated based upon the information provided.